Cooler bags are very versatile and useful. Whether used for lunch, to take snacks on the go or to keep groceries chilled on the way home, just about everyone can find a use for a cooler bag. The insulating properties that allow these bags to keep things cold can also work to keep items warm, making them even more functional. Custom cooler bags are specialized, and they make thoughtful trade show tote bags. This usefulness and attentiveness will allow your brand to engage with your customers in a meaningful way. 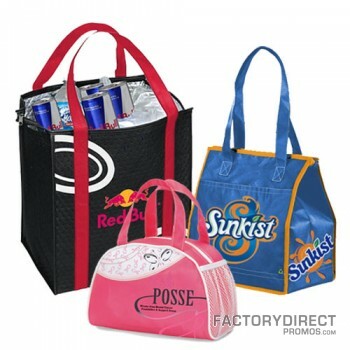 Drawstring bags, also known as cinch bags, are a very functional and popular style of reusable bag. They make great trade show tote bags because they allow people to keep their hands free while giving them a place to stash all of the business cards, catalogs, samples and other items they pick up while walking the event. 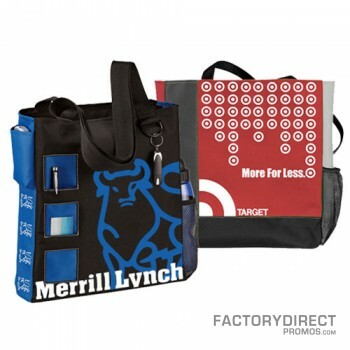 Your custom drawstring bag will likely find a purpose for your customers after the trade show as a school or gym bag. There are so many styles to choose from, but one that is becoming a quick favorite is the insulated drawstring bag. This bag works well as a lunch bag, or to keep post-workout drinks or snacks cold. Whether used for work, school or travel, messenger bags are very adaptable. Handing out eco-friendly messenger bags to your clients will increase your brand’s awareness at the show, but will also leave an impression long after the show ends. Lots of pockets and an adjustable shoulder strap make messenger bags handy and comfortable; which will make them a fast favorite with your customers. We reduced our overhead and unnecessary redundancies in order to streamline the ordering and manufacturing process to offer our products at super low prices. We have a direct relationship with our factory, which means when you submit an order we sent it straight to the factory. There are no additional steps, no middlemen adding a markup. This structure keeps costs down. Having a direct relationship also reduces the risk of errors. Ready to Create Custom Trade Show Tote Bags? Build relationships, name recognition and sales with your prospects and existing customers at your next trade show with trade show tote bags. Browse our collection of trade show tote bags and fill out a quote request or download our idea catalog HERE. Love the ideas. The more personalized you get your brand the better resonance you get.